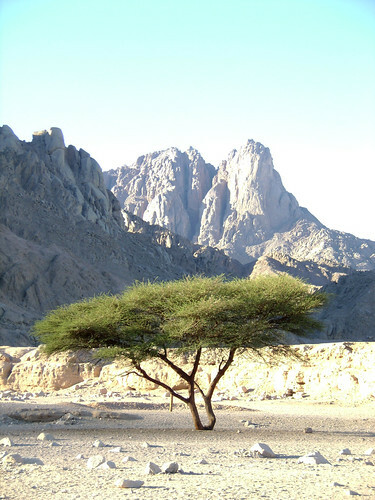 Akacia tree in the rocky Eastern desert, originally uploaded by Blind Höna. There are a number of trees in the world that draw our attention not because they are so grand in and of themselves but rather for the fact that they have survived conditions that are not conducive to life. These lone trees survive because their roots go so deep that they reach the water table, in some cases up to 100 feet below ground. glad that you found my picture and used it!